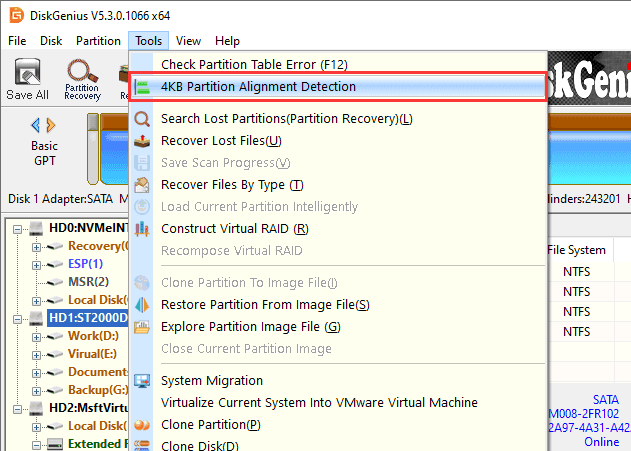 Partition 4K alignment is important to improve hard drive performance, and you can check if partitions on your computer are 4KB aligned according to following steps. Step 1 Select the disk for which you want to check partition 4KB alignment, and click "Tools" to select "4KB Partition Alignment Detection". Step 2 The pop-up window shows whether partitions are aligned. Learn more on 4k alignment? refer to that article: 4K Partition Alignment.